February is National Heart Health Month, so let’s talk about this blood pumping organ. The heart is a muscular organ that functions as the body’s circulatory pump. Sounds pretty cool, right? Well it is! It pumps blood throughout the body through the circulatory system, supplying nutrients and oxygen to the tissues, and removing carbon dioxide and other wastes. If the heart is not able to supply blood to the organs and tissues, they will not be able to function and will die. Therefore, we need to make sure we are taking care of our heart so it can function at its best. A diet rich in fruit and vegetables of all kinds does wonders for your health and reduces your risk of a range of chronic diseases including heart attacks and stroke, so be sure to combine a mix of all colors, shapes and sizes regularly, and enjoy these seven foods on a regular basis to nourish and support your heart! Avocados: contain a range of vital nutrients including being full of healthy fats and fiber for a healthy functioning heart. Nuts: research shows that eating at least 10g of nuts each day can reduce your risk of early death from all major causes including cancer, diabetes, brain, lung, and heart diseases. Bananas: the potassium in bananas helps maintain normal heart function and the balance of sodium and water in the body. Potassium helps the kidneys excrete excess sodium, thereby contributing to healthy blood pressure. Leafy Greens: researchers believe that one key reason leafy greens are so good for your heart is because of their dietary nitrate content. Nitrate in the diet protects the heart and improves overall blood flow. Cacao/Dark Chocolate: the antioxidant rich cacao or high quality cocoa found in dark chocolate offer amazing health benefits for your heart! The flavonoid content is said to help maintain or restore vascular nitric oxide production and offer free radical fighting benefits to protect your heart. Tomatoes: research suggests that the combination of nutrients in tomatoes may help prevent cardiovascular disease by helping to protect lipoproteins and vascular cells from oxidation. Other cardio protective functions include the reduction of LDL cholesterol, homocysteine, platelet aggregation, and blood pressure. Berries: a good source of polyphenols, especially anthocyanins, micronutrients, and fiber. Berries support a healthy heart in a variety of ways including upregulation of endothelial nitric oxide synthase, decreased activities of carbohydrate digestive enzymes, decreases oxidative stress, and inhibition of inflammatory gene expression, and form cell formation, all of which if not kept under control, can lead to heart disease and poor heart health. Dental health is a great indication of overall heath, especially your heart health. This is because those who have gum disease often have the same risk factors of heart disease. Studies have shown that bacteria in the mouth involved in gum disease can move into the bloodstream, causing inflammation in the blood vessels, affecting the heart’s function. Brush AND floss your teeth daily to ward off bad bacteria and gum disease. Sleep is crucial! Sleeping is an essential part of keeping your whole body functioning properly, especially your heart and brain. Those who don’t sleep enough or well are at a higher risk for cardiovascular disease. Studies have shown that sleeping too little may cause increased blood pressure and inflammation. Make sleep a priority and try to get at least 7 hours of sleep most nights. Prolonged sitting is called the “new smoking,” because it is strongly related to heart disease and premature aging. A study showed that each hour of sitting per day was associated with a 14 percent increase in coronary artery calcification (damaged heart arteries and increase risk of a heart attack). Move more throughout the day by: use a standing desk (like we do at the office! ), get up every so often to stretch, move your limbs and get a cup of water, take a walk on your break, and take the stairs. Exercise is essential for your overall health, especially for your cardiovascular system (heart and lungs). Exercise provides your heart and lungs with fresh oxygen to keep your blood flowing. Flexibility of the spine correlates to flexibility of arteries in the body. Practicing yoga can increase your overall flexibility. Also, some kind of sweating practice (exercise or infrared sauna) can help eliminate toxins efficiently that could damage your heart and arteries (heavy metals like mercury and lead). Last, but definitely not least… Chiropractic care impacts your heart heath. So, there are nerves attached to the heart that speed up (sympathetic nerves from the thoracic spine) or slow down (parasympathetic nerves from the brain) the heart rate depending on the body’s demands. A simpler way to understand this is that the cardiovascular system is controlled by the nervous system… and the nervous system is the master control system of the body (brain and spinal cord). The primary function of the spine is to protect the nervous system. When there is a misalignment in the spine (by injury or stress), it can cause interference in the nervous system communication – this is called a subluxation. Getting adjusted regularly corrects any subluxation to restore nervous system communication. When the nervous system is able to communicate freely with the rest of the body without interference, optimal health is possible. The heart is about the size of a fist. 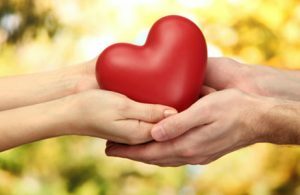 The heart weighs between 10 to 12 ounces in men and 8 to 10 ounces in women. The heart beats about 100,000 times per day. An adult’s heart beats about 60 to 80 times per minute. A newborn’s heart beats faster than adult hearts, about 70 to 190 times per minute. The heart pumps about 6 quarts (5.7 liters) of blood throughout the body. The heart is located in the center of the cheat, usually pointing slightly left. 7 Health Hacks That Will Improve Your Health Are You Getting Enough Sleep?